Have you ever been asked told to incorporate a new model, a new curriculum, or a new strategy in your classroom but are not given the resources to do it, or at least teach it in a way you feel is meaningful? We are incorporating a balanced literacy approach this year in my district but we have had very little training and no resources. It's frustrating to say the least. 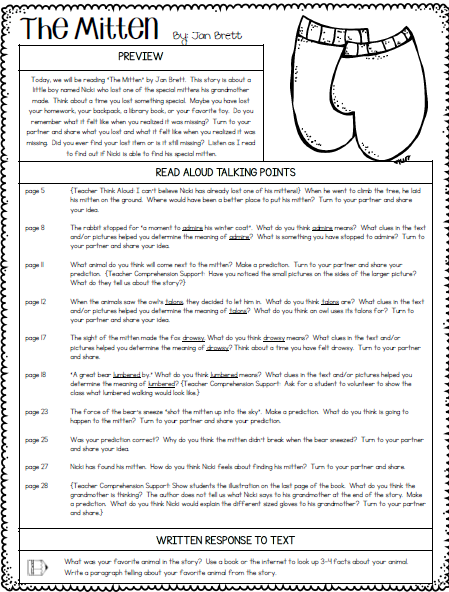 Balanced literacy, in short, is the reader's workshop model by Lucy Caulkins. In sum, we begin each reader's workshop with a 10-15 reading mini-lesson and then send the kiddo's off for 15-30 minutes of reading. I will be honest and say...it has been the best of times..... and it has been the worst of times. I think the problem lies in my lack of confidence teaching something that I just don't feel confident in teaching. Am I doing right? Is this what I am supposed to be doing? Have I taught them enough strategies? Are they fluent readers? How is their reading comprehension? Can they retell a story in sequence with details? I have spent countless hours searching Pinterest, googling reader's workshop lessons, searching Teachers Pay Teachers, watching You Tube videos, and reading Lucy Caulkins (Have you ever read Lucy Caulkins? It was painful people....painful.). 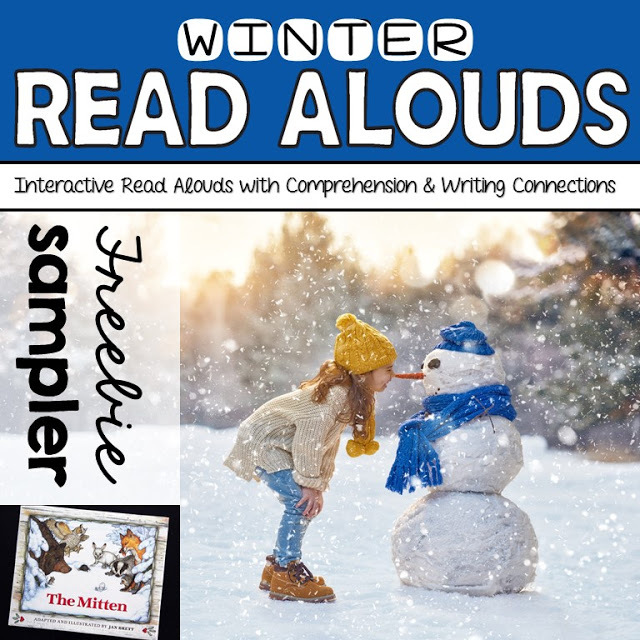 Lisa from Pawsitively Teaching popped up in my follower emails from Teachers Pay Teachers the other day with a new product called Winter Read Alouds and wow! Just wow! 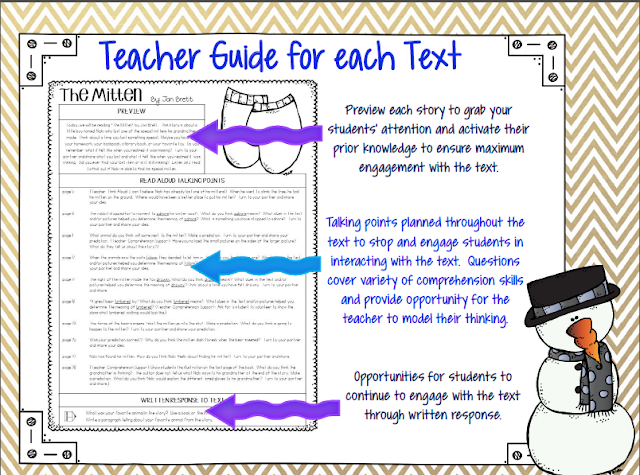 I am heading back to school on Monday feeling sooo much better about how I will teach with a balanced literacy method. I feel like I have a set of tools that I haven't had before. I now have a few months of balanced literacy lessons right at my fingertips. It is so amazing I just had to blog about to let others know about it in case someone else is in the same boat as me. Well...welcome aboard. This is cruise director Julie and I'm going to help you set sail by showing how you can use this resource to help you with your read alouds in the classroom. 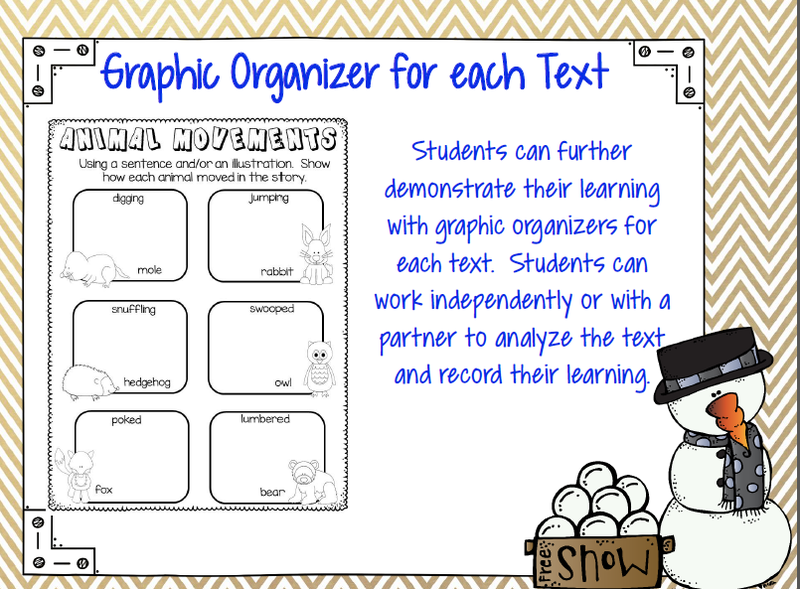 You can use it in small groups, or in large groups. It's life changing. Seriously. It's that good. The Mitten lesson shown in this post is available for FREE in Lisa's store here. but I can't do without the 2 months worth of reading lessons! 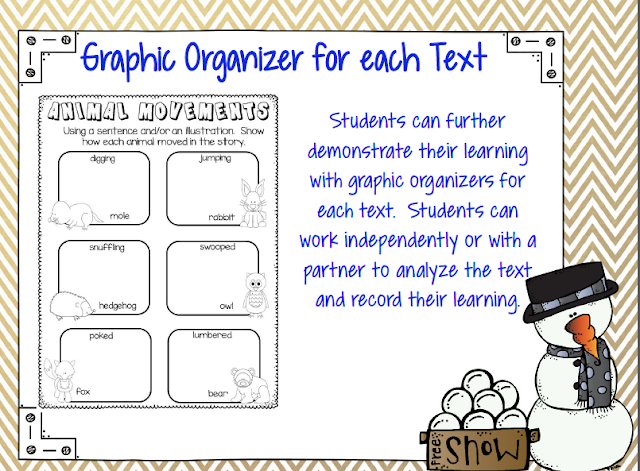 You can find Lisa from Pawsitively Teaching blog about this product here or visit her Teacher's Pay Teacher's store, Pawsitively Teaching here. 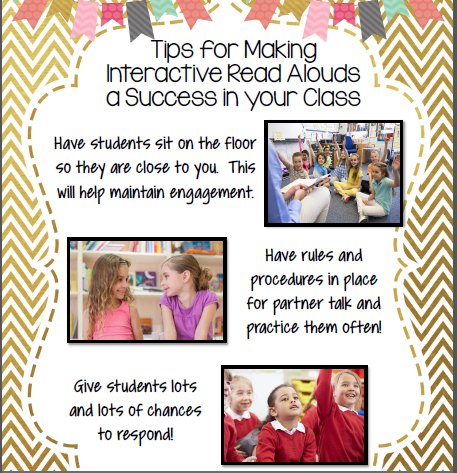 How do you make the most of read aloud time in your classroom? Close Reading: What's it all About?